The Mobile Home is located on the grounds of the working croft. A totally self contained mobile home with all the usual appliances. 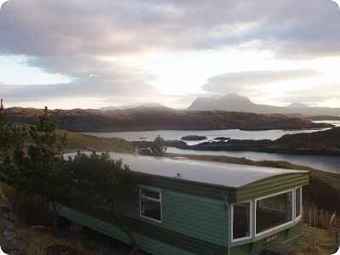 As you can see from the photo, our mobile home is only 300 yards from the beach and has the most stunning views in the area. Walk down to the water side and you can collect fresh mussels and if you borrow a crab pot catch your own fresh crab!